Burgeoning online retail is now skyrocketing: eMarketer estimates some 1.03 billion digital buyers globally this year, a whopping 44.4% from Asia-Pacific. However, traditional retailers are only slowly recognizing new business opportunities rich and diverse digital technologies can offer, while online retailers are challenged with transforming a fragmented base of internet users into regular e-consumers. So how can retailers, consumers, and governments work together to solve these challenges and benefit from the innumerable opportunities the region has to offer? Traditional retailing still dominates in the Asia-Pacific region and the region remains a top destination for global retail chains. Luxury fashion retail brands, for instance, are expanding aggressively to cash in on Hong Kong’s increasingly affluent young demographic which are seriously attracted by the wave of Korean or American TV drama series. This has led to some online brands introducing popular clothes from Korea or America (like MyDress or ZALORA) to draw this age group. The Economist Intelligence Unit estimates that by 2020, the Asia-Pacific region will represent 50-60% of the global luxury revenue. Harnessing the tastes, habits, and incomes of this new “hyper-connected” Hong Kong’s young adults represents a great opportunity for retailers looking to expand their operations in the market. The logical next step is to make ICT products, services, and technologies scalable and customizable to ensure businesses and individuals are able to launch and manage profitable online operations. The availability of an all-in-one ICT service allows businesses to quickly and efficiently overcome the challenge of regional fragmentation. Consumers now master their own consumption journey online giving thanks to the rise of mobile devices. Hong Kong’s 1.4 million Taobao Marketplace are able to pay for purchases by Octopus card, online payments for shopping is just a piece of cake here. However, unsecure and unreliable transactions represent a major obstacle to all retailers. Having said that, Octopus cards are storing more and more personal information of users and they are sometimes even combined with credit cards. According to Verizon’s 2013 Data Breach Investigation Report, 99% of attacks on retail were financially motivated. A more robust approach for retailers is to extend the security perimeter outside the actual data center, emphasizing systems designed to provide cloud security, prevent data theft and downtime, and mitigate DDoS attacks without worrying about site performance, application functionality, customer data, or payment transactions being compromised. At every step of the sales process lies an invaluable amount of structured and unstructured data. Take OpenRice as an example, its mobile application has released an update recently – which users need to do one-time fill-in of basic information before accessing the application. Big Data-derived insights are helping retailers find and build their customer base by making it faster and easier to react to both a dynamic technology landscape and the ever-changing needs of users. Geo-specific data, CRM databases, mobile payments, or credit card usage can, for example, help retailers intercept shoppers at the right time and convert occasional buyers into loyal customers. Presenting relevant offers to the most promising buyers can drive shoppers through the purchase funnel faster, and drive higher conversion rates. 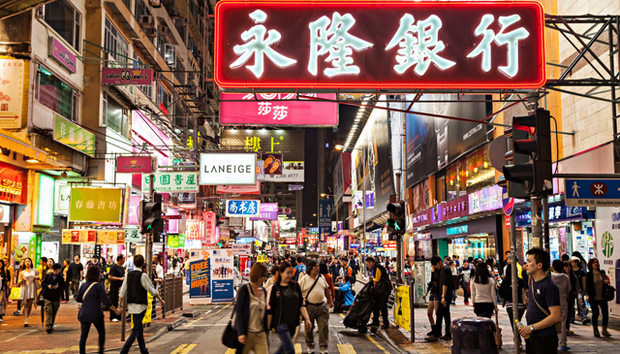 From staying ahead of the competition in the crowded marketplace to providing customers a seamless and secure buying experience and understanding their wants and needs, finding flexible and scalable tools will allow Hong Kong retailers to fully seize the plethora of exciting retail opportunities the region has to offer.